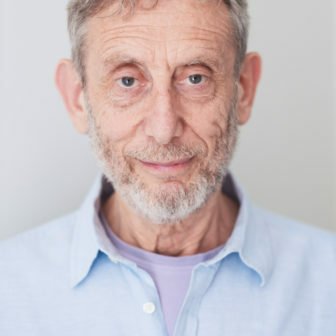 Michael Rosen is the author of over 140 books of poetry, stories and politics, including Michael Rosen’s Book of Play, The Disappearance of Émile Zola and So They Call You Pisher! A Memoir. He was the Children’s Laureate between 2007-9 and is currently the professor of Children’s Literature at Goldsmiths University. He has won numerous international awards for his work in literature. He presents Word of Mouth on BBC Radio 4.